Kyle is a registered Physiotherapist with a keen interest in sports Physiotherapy. Kyle found Crossfit about 4 years ago whilst studying Physiotherapy by trying some workouts with friends in a school gym. 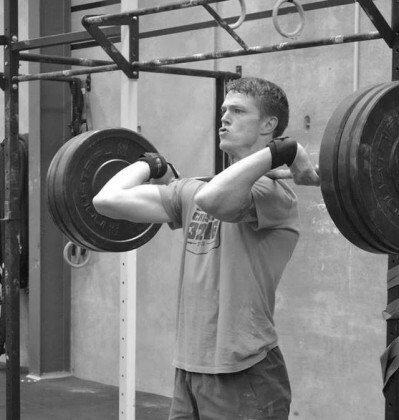 He soon joined CrossFit 3216 when it opened in 2013. Kyle is is a proud CrossFit 3216 founding member and now intern/coach. Since graduating as a physiotherapist Kyle has worked with a wide range of individuals from competitive athletes such as the Waikato under 16s, Harlequins under 17s and Waikato womens rugby teams as well as many others in clinic from factory workers to farmers. The core functional movement principles of Crossfit and the associated mobility requirements is something Kyle has found to be universally applicable to all levels of activity and which he applies to his practice as a physiotherapist and in day to day life.